I'm currently working on a RNA-seq differential expression project with a sRNA seq dataset (for miRNA differential expression analysis) and a mRNA seq dataset for (mRNA differential expression analysis). My condition of interest hast three levels with n=8, n=5 and n=6. Anyhow, the question arose whether I should use SVA to account for potential batch effects or not. It's not that I would expect several severe batch effects (at least during library prep and sequencing). However since it's a non-model organism study (veterinary field) I thought that SVA might maybe account for mixed breeds within the groups or other unknown effects contributing unwanted gene expression variation. Thus I would love to get your opinion on that question. Is it a problem to apply SVA to a data set with a small sample size? 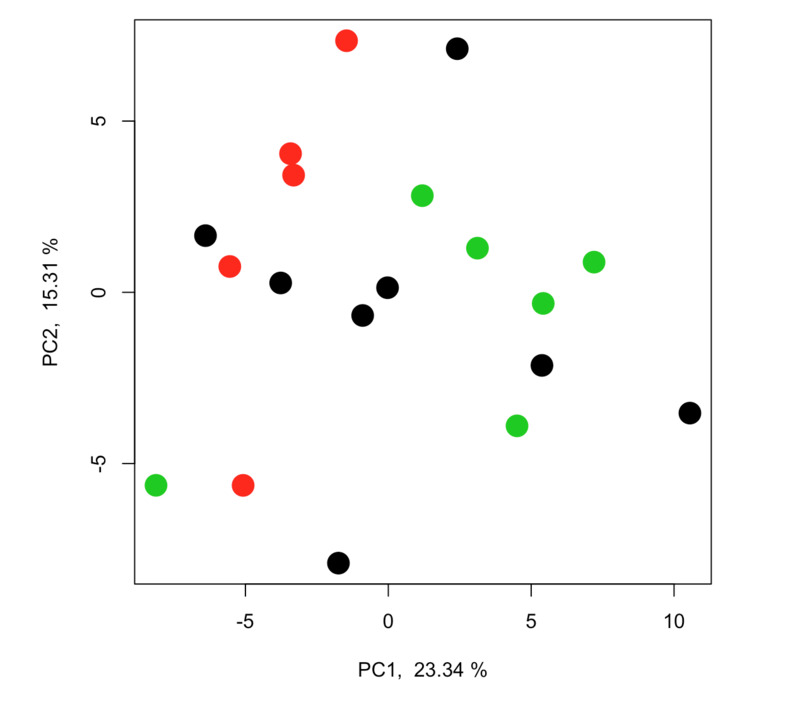 To investigate the effect of SVA on the dataset I generated two PCAs: one after subtracting the significant surrogate variables (4 SVs were detected) from the dataset . 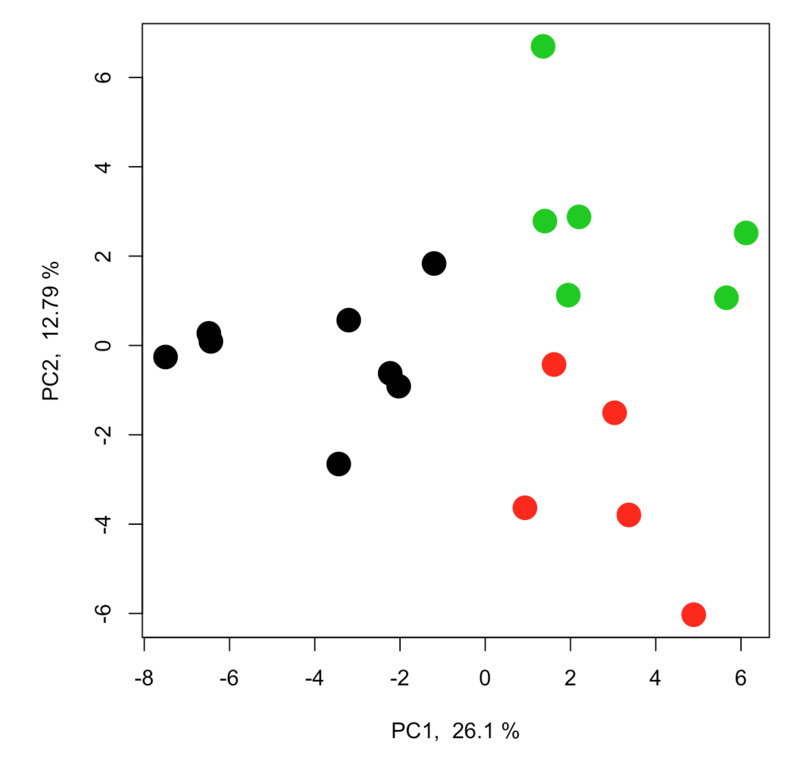 The PCA plot on the right illustrates the dataset after removal of 4 surrogate variables. As the resulting differentially expressed genes/miRNAs are unfortunately not a subset of each other but different I really don't know which path to take and how to justify it. Are there any possible analyses/quality controls I could run to answer my question? It looks to me like SVA is helping quite a bit for this data set. I always like to plot the surrogate variables against any known confounding factors (such as RNA extraction date, in your case). If you can show that SVA is capturing the variation due to known confounders, that gives you confidence that SVA is capturing real effects in your data that should be corrected for. Other things you can plot your SVs against include RNA QC statistics like RIN, total read count, and percent of reads aligned to genes. Thank you very much for your input! Highly appreciated.